This book is the first of two volumes offering a selection of Greek writings on music, newly translated into English and equipped with an extensive commentary. 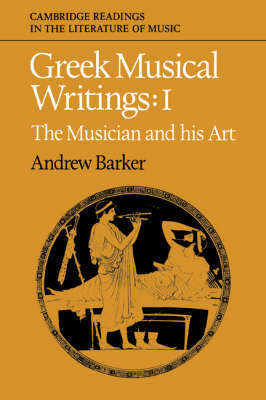 This volume contains passages from Greek poets, historians and essayists, evoking or describing aspects of the practical activities of musical performance and composition, together with excerpts from philosophers and social critics who comment on the moral, education and aesthetic dimensions of the art. Music was of fundamental importance in the culture of ancient Greece. Its nature and significance cannot now, perhaps, be fully recaptured, but we have a rich fund of information about the Greek experience of music, its forms, its meanings, its social roles, and the practical details of its composition and performance.